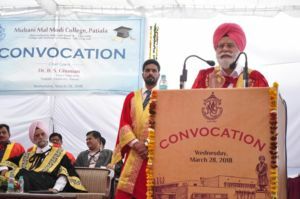 Multani Mal Modi College, Patiala organised Convocation-2018 today. 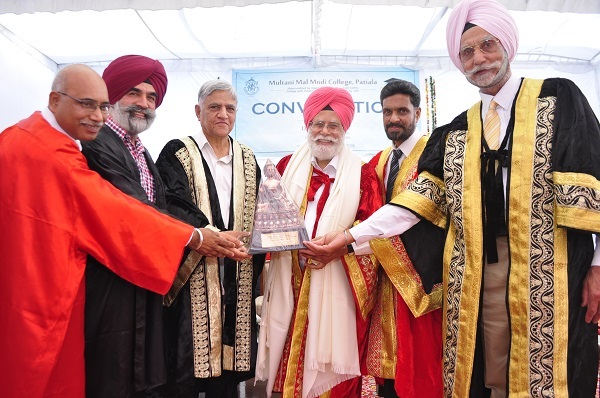 Dr. B. S. Ghuman, Vice Chancellor, Punjabi University, Patiala delivered the convocation address and conferred the degrees to Graduates and Post-graduates. Dr. Ghuman congratulated the graduates for getting their degrees and said that quality education is the most crucial factor for economic and social development of any country. With the changing paradigm of developmental policies the richness of any society is now directly related to its knowledge base. Most of the Indian population is now below 35 years but there are sharp inequalities in their access to quality education on the basis of gender, religion, caste, region and economic status. 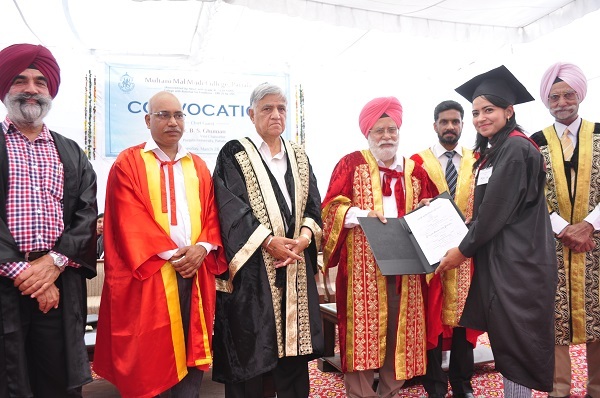 Dr. Khushvinder Kumar, Principal of the College welcomed the Chief Guest and graduates. 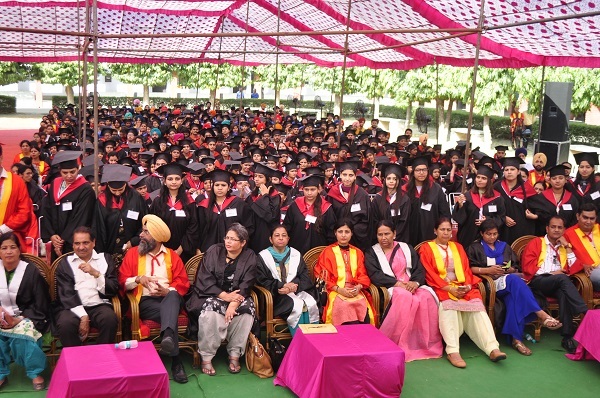 He congratulated the graduates and said that Modi College is not only imparting quality education to its students but also equips them with required skills and expertise to excel in each and every area of their life. The students are bringing laurels to the college by performing well in academics, sports and co-curricular activities. Dr. Ajit Kumar, Registrar of the college, informed that 783 graduate and post-graduate degrees were conferred in the faculties of Arts, Commerce, Science, Management and Computer Sciences. Deans of the faculties Prof. Nirmal Singh (Commerce), Prof. (Mrs.) Baljinder Kaur (Arts), Dr. Ashwani Sharma (Life Sciences), Dr. Rajeev Sharma (Physical Sciences), and Dr. Neeraj Goyal (Head, Business Management) and Prof. Vinay Garg (Head, Computer Science) presented the students for the award of degrees. The Chief Guest was felicitated by Prof. Surindra Lal and Col. (Retd.) Karminder Singh, honourable members of the Modi Education Society, Paitala and Principal of the college Dr. Khushvinder Kumar. Sh. K. K. Sharma, Chairman, PRTC was present as a special guest on this occasion. Prof. Baljinder Kaur, Prof. Shailendra Sidhu, Prof. Ganesh Sethi and Prof. Harmohan Sharma conducted the stage. Vice Principal Prof. Nirmal Singh presented the vote of thanks.